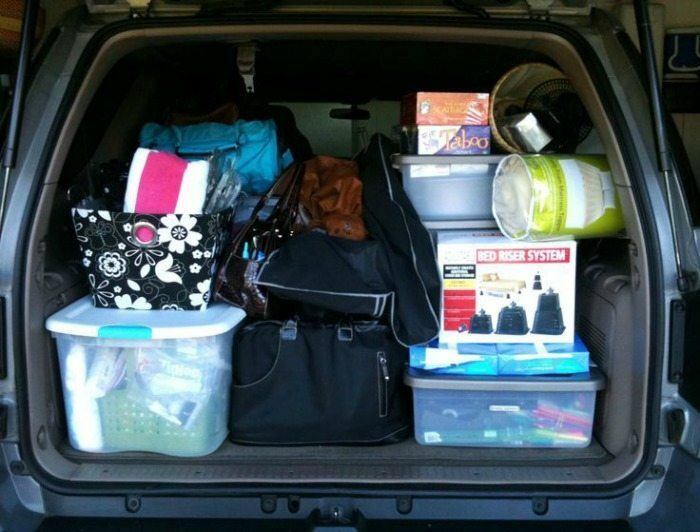 Are you looking for help moving out of your college dorm? Look no further! Boombox's full service storage solution makes storage easy so you can start enjoying your summer. Check out our guide to summer storage. Moving out of your dorm room comes with the inevitable question - What do I do with all my stuff??? It may seem like a daunting task, but look at it as an opportunity to get organized and start the summer off feeling good. Over the course of the semester, you've probably accumulated more stuff, so make sure to go through your items and figure out what you want to toss, store and bring home. Once you've gotten your items organized you're ready to start the move out process. Drop off any items that need to be donated or thrown away, load all your items into your suitcases that you are bringing home, and call a San Francisco storage company to help with storing your items for the summer. If you want to make your parents happy, then consider not bringing home your entire dorm room. Your parents will love you for it! If you know you have blankets and pillows at home there's no need to bring your college bedding back home. Make sure to store items these items. However, make sure you are mindful of items you might want to have over the summer. If you think you might want to play some tennis over the summer make sure you bring your tennis racket home. Packing usually takes a back seat when you're saying final goodbyes and trying to get out of the dorm as quickly as possible, but adding just a little bit of effort goes a long way to making your move out as painless as possible. Make sure to pick up sturdy storage boxes that hold up to the hodge podge of books, and dorm items you'll be using them for. Wrap any fragile items in bedding or other soft clothing items, if you don't have the time to pick up bubble wrap. And make sure to unplug your mini fridge the night before so it's thawed out and ready to be moved. Packing properly is a great way to make sure your items are safe and secure for the summer months. If you are tired of self storage maybe it's time to consider what’s known as full-service storage, where the storage company manages the pick-up, storage and retrieval of your items. 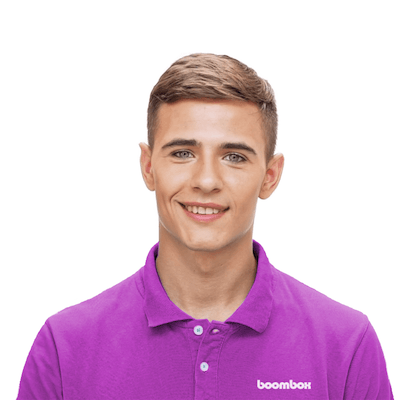 And wouldn't you know it, Boombox is one of those companies! We arrive at your location with our purple storage van and a team of movers itemize your items, apply unique barcodes to each item, photograph every item being stored and transport your items to our secure storage facility. It'll make your move out process a breeze, and once the summer is over all you have to do is schedule a delivery appointment online and we will deliver your items directly to your new dorm room. We know what you are thinking? For that kind of service it must be extremely expensive. Actually we are more affordable than most self-storage options in the San Francisco Bay Area and you don't have to hassle with moving your stuff at all. You can check out our storage unit prices by going to our pricing page. If you don't want to deal with the pains of moving out of your dorm room, then let the storage pros at Boombox help you out!